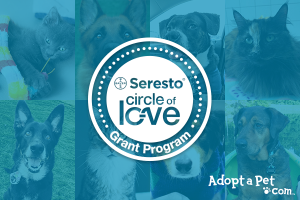 Uncategorized < Meet the Contestants for Our Seresto® Circle of Love Social Grant! Our voting is now open! Head to our Instagram, Facebook, and Twitter to learn about the two organizations and cast your vote for the one you want to win the grand prize social grant! Learn more about both organizations below. “Jewel’s Journey to Recovery: We received an urgent call from Columbus Animal Control about a pup with an embedded chain. We rushed to get her and were shocked at her condition. She was found wandering the streets at night thank God she got away from where she was completely covered in thousands of fleas and nothing but skin and bones. Jewel was only about 10 months old and was held in complete horror by the people that had her. After a 30-minute bath she was rushed to the Vet to be sedated to remove the chain that was deeply embedded in her neck. She was licking our faces as to say thank you during the bath to get the fleas off of her. Jewel went straight from the vet to a foster home where she quickly recovered.” Jewel is just another example of why having flea prevention on board is so important. “Paxton’s Second Chance: Baby Paxton transferred in to us from Animal Control and had to be rushed to the vet. His gums were pale white, his temperature was too low, and his body was shutting down. He is extremely anemic from a severe flea infestation and muzzle swollen due to flea allergy. Paxton needed an immediate blood transfusion to stabilize him. The fleas had ingested so much of his blood that he would have died without our immediate intervention. Our shelter is in South Georgia where flea and tick season is yearlong.” Paxton survived (and is now happy and healthy in his forever home), but a Seresto® collar could have helped prevent biting fleas from infesting him. “We LOVE Seresto®collars and have them at all three of our veterinary hospitals that provide subsidized rates for pets owners in need. So, we know how well they work for the clients at our hospitals. We know how Seresto® collars are a help to all pet owners. 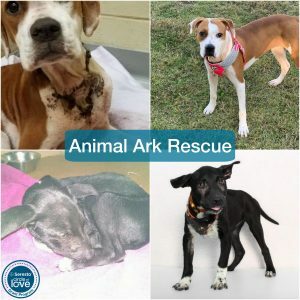 To be able to have them for our adoption center for our adoptable pets would be wonderful. We always strive to provide the highest quality of care for our shelter pets and having Seresto® collars would be a great addition to the care that we provide.” said CEO Sheryl Blancato. This organization is the only animal welfare organization in Massachusetts that offers full-service vet hospital. This allows them the unique opportunity to take in medically needy pets, which they have a lot of. 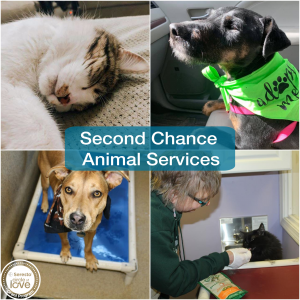 By winning the Seresto® product grant, Second Chance Animal Services would be able to provide these much-needed products to the pets in their care.